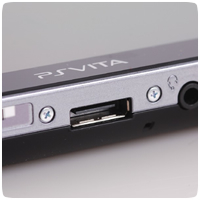 Andriasang is reporting that a Japanese government agency is investigating cases of PlayStation Vita systems burning up while charging. According to Sony, there have been a total of 31 incidents since the Vita was launched last December. 23 of the cases were in Japan alone, while the other 8 occurred in North America, the UK and Australia. Sony’s PR department claims the problem is not related to a “product malfunction and will thus not result in a recall.” Sony believes the problem is related to people having liquids or other objects inserted in the connection. “Customers with burnt out connectors will have to pay to get it repaired,” Andriasang notes.